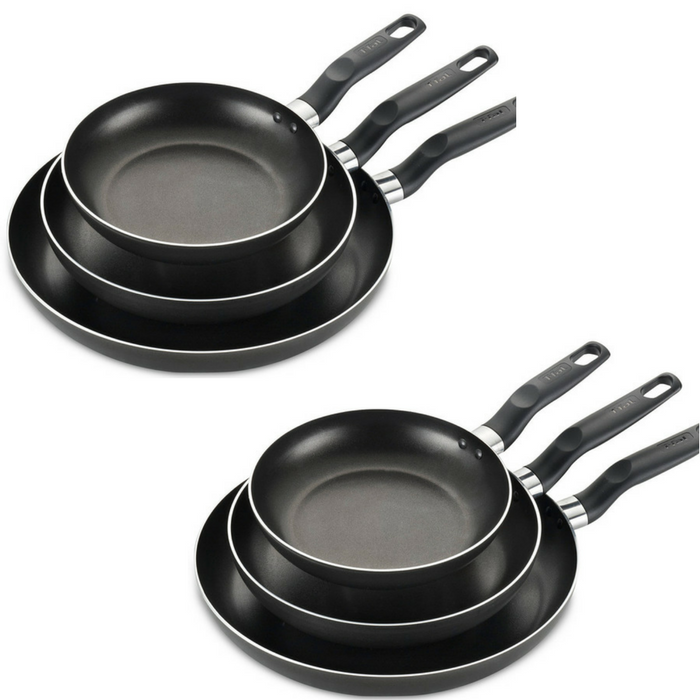 T-Fal 3-Piece Fry Pan Set Just $14.99! Down From $60! You are here: Home / Great Deals / Amazon Deals / T-Fal 3-Piece Fry Pan Set Just $14.99! Down From $60! For a limited time, you can score this T-Fal 3-Piece Fry Pan Set at Amazon for just $14.99 PLUS FREE shipping with Amazon Prime or for orders $25 or more! You can also score this deal for the same price at Macy’s regularly $60! From eggs for one to stir fry for the family, this 3-piece skillet set from T-fal gives you the versatility you want and the performance you need. The skillets feature even-heating bases that help you avoid hot spots plus non-stick performance for easy cooking and cleanup. Great for personal use or for a Christmas present!